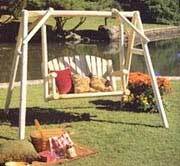 Our 5' American Garden Swing, made from white cedar, will be a beautiful piece of outdoor furniture in any yard. Be the first one in your neighborhood to enjoy those sunrises and sunsets in style as you swing through the cool night breeze with your significant other. Built for two, its durable hardware and sturdy frame construction will support up to 500 lbs. It's not often a great deal like this comes around, so take advantage now and reap the savings on this best-seller. 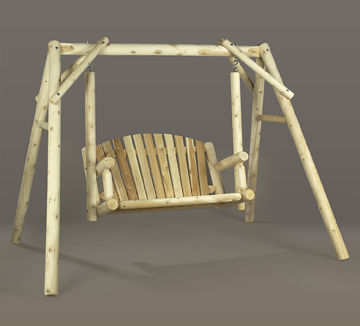 Our popular White Cedar Swing is crafted with durable hardware not found in other swings. What a fantastic price on this beautiful Garden Swing! 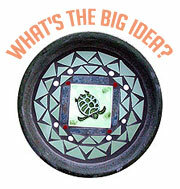 It will look great in any yard! Dimensions: 66" x 88"; From hanging post to hanging post 5'; from arm rest to arm rest 56"; seat 51"
Need a cushion? We have beautiful, fade-resistent Swing Cushions made from Sunbrella Fabric in a variety of stunning colors that fit our 5' Swing perfectly!